Plateau Social Media Awards 2019 (Maiden Edition) is born out of the desire to recognise and encourage Plateau citizens who create exceptional content daily, giving many a reason to smile whenever they visit the platform We have set forth to award the very best talent in various fields who have carved their niche leveraging the social media platform. 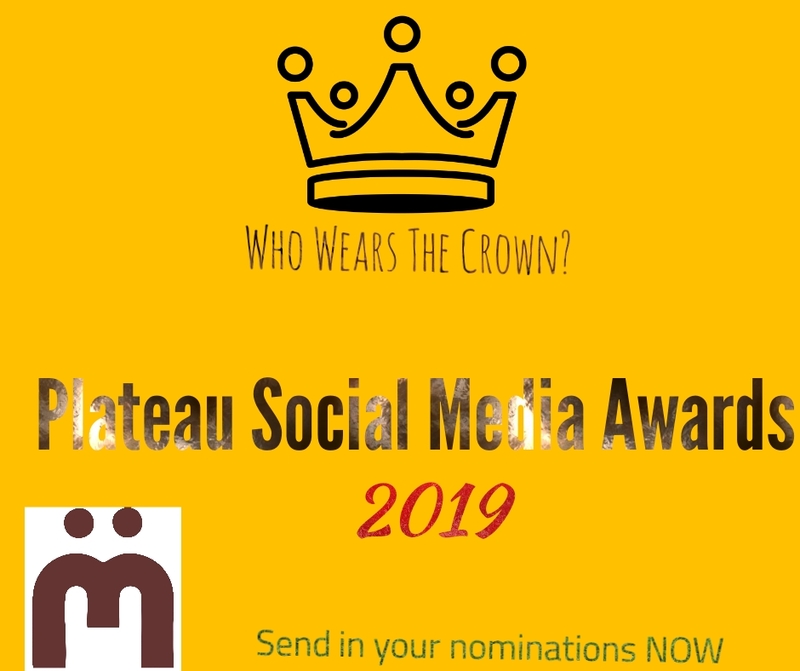 The Nominations will be open to all social media users, it is geared towards setting the standard for innovation and creativity on the Internet. Winners will be announced and honored at the award night later this year. Get involved and send in your nominations. An award to recognise an outstanding paid social campaign that delivered exceptional results against a defined objective – be that awareness, reach, engagement, etc. 17. BEST ONLINE DATA NETWORK SERVICE PROVIDER. 35. BEST SELFIE OF THE YEAR.